Magic Online has a long history of disappointment, confusion and doomsday prognostications about the end of the platform. This week has been no different. 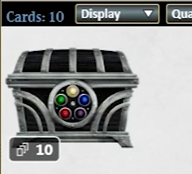 Treasure Chests are a new prize variant being awarded to top finishers in MTGO Constructed events and Vintage daily events. Treasure Chests replace previous awards paid out in booster packs, which may lower the volume of excess booster packs on the platform and stabilize booster prices, at least prior to the close of set redemption. 1 in 4.5 Treasure Chests will have one of the Standard-legal common or uncommon slots replaced with either a curated card or a Modern-set rare or mythic rare. 1 in 239 Treasure Chests will have both of the Standard-legal common or uncommon slots replaced with either a curated card or a Modern-set rare or mythic rare. Standard-set commons and uncommons will appear as from those sets. Each common will appear 2.5 times as often as any uncommon. These cards will be non-premium. Modern-set rare or mythic rares will appear as from those sets. This doesn’t include sets that were never Standard-legal, such as Modern Masters sets. Regular rares and mythic rares in these sets that have been banned in the Modern format are still included. Each regular rare will appear twice as often as any given mythic rare. This includes regular rares from older sets that lacked mythic rares. Timeshifted cards from Time Spiral count as regular rares for this purpose. All cards in Treasure Chests will be non-premium, with the exception of rares from Eighth Edition and Ninth Edition, which will be premium. Curated cards are from a list curated by Magic R&D. Some curated cards may have multiple versions that appear. The frequency at which a curated card appears relative to others is also curated by Magic R&D. The rarity on the card shown reflects only the original printing of the card and is not indicative of its frequency of appearance in Treasure Chests. Curated cards are non-premium, including both Zendikar Expeditions and Kaladesh Inventions, with the same exception for rares from Eighth Edition and Ninth Edition, which will remain premium. As you can see over here, the release of the full list of curated cards from the forthcoming Treasure Chests has already crashed the prices of many of the included cards by 15-40%. The premise of the sell off is clearly that the introduction of constant supply of MTGO staples in competition prize structures will serve to suppress prices more or less permanently for the included cards. The fact that WoTC can choose to alter the composition of Treasure Chests at any time based on user feedback and/or statistical analysis only adds to the uncertainty. It is worth noting that while any sell-off this big is always cause for concern for online speculators, there have been numerous such sell-offs in the past that have all resulted in excellent buying opportunities. Whether this sell-off proves to be an overreaction or not remains to be seen, as there are several factors at play, including total platform participation rates, the ratio of appearance for each specific card in the Treasure Chests, and how the knobs are twiddled as time marches on. Some early math I have reviewed suggests that the total supply of any given relevant Modern rare or mythic will be relatively limited on a monthly basis under the new program, with significantly less copies entering the system than would during say, a Flashback draft for the set in question. The average EV (Expected Value) of the Treasure Chests and the new payout schedule for constructed and limited events requires further analysis, but a review of early math suggests that is slightly net negative for most players. More on this soon. Overall, these changes make me worried for the future of the MTGO economy two to three years out, but I think the current price crash, (likely to be exacerbated as players trade further staples this Wednesday to buy into Kaladesh release events), is likely to represent a buying opportunity in the short to mid term. The ability to redeem digital sets for physical ones has long been one of the pillars of the Magic Online economy. When the program was first launched in the early 2000s it was designed to make players feel more comfortable with investing into digital cards by providing an escape hatch to the world of paper Magic. Because the prices of digital Magic cards are more closely tied to true supply and demand on the platform, and because far more limited play is perpetrated via constant drafting and sealed events, digital magic sets have long been cheaper than their physical equivalents at peak supply during the first year following release. 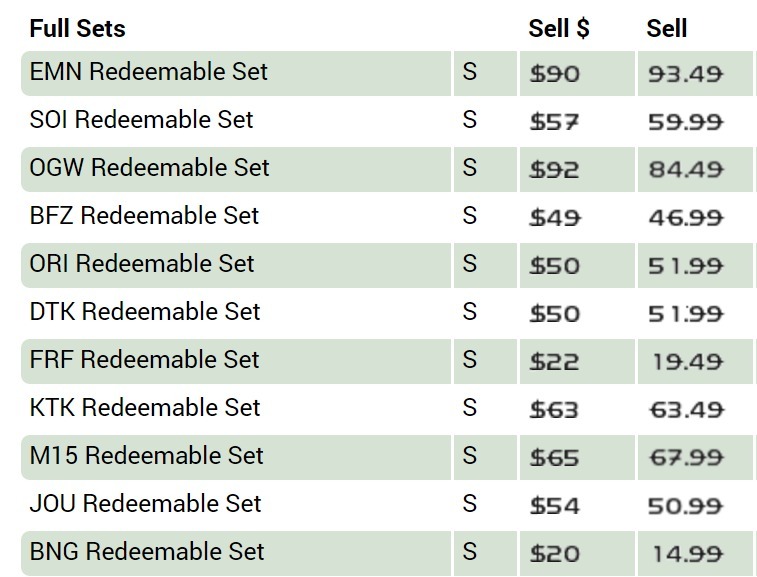 An original redemption cost of $5 + shipping opened up a strong digital to physical arbitrage opportunity and for years bots, stores and speculators took advantage of the relatively inexpensive digital sets to gain $20-40 in value when converting to full paper sets. These sets were then often broken down into singles to be sold at local shops or online, with relatively few sealed sets surviving down through the years. In 2013 MTGO cranked up the cost of redemption to the current $25/set + shipping, a $20 increase, seemingly making redemption that much less appealing. According to Casey Stewart, of major bot chain TheCardNexus however, most of that cost was eaten by the MTGO players in the form of reduced booster and set values that continue to this day. Play points were an effort to correct this situation. In essence, redemption margins remained relatively constant while the value of cards from a player perspective was permanently reduced. Further, a fear of constant price crashes online for sets whose redemption periods expired, (largely driven by the lack of pure casual demand on MTGO), guaranteed that people would still extract value via the redemption program to prevent themselves from losing value unnecessarily. The old redemption schedule generally provided an exit to paper sets for ~18 months. As of Kaladesh however, bot owners, stores and players are facing a harsh new reality, with WoTC only offering a redemption period that lasts until the start of the redemption period for the next block. As you can see the graphic below, that means that small sets like Aether Revolt will barely receive a redemption period of three months before the window closes on their potential conversion to paper sets. 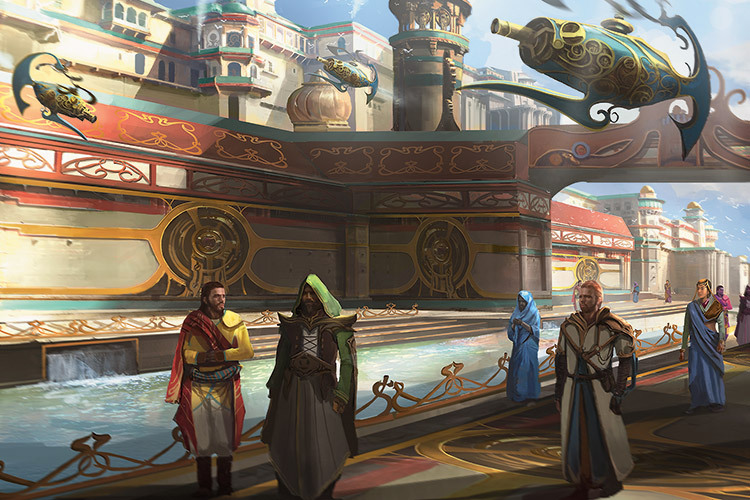 Starting with Kaladesh MTGO players are facing a much shorter redemption period. So what does this mean for the MTGO economy? The end of redemption crashes digital set prices. Well, firstly, because the redemption period is so much shorter, the incentives to play anything but the most recent block will be greatly reduced. Once the redemption window closes on the Kaladesh block next spring, one month after the release of Amonkhet, prices on Kaladesh cards not enjoying strong Standard play will crash very hard, lowering the EV (Expected Value) of participating in Kaladesh limited events. For the time being, WoTC is still providing limited events for the previous block, but with such strong disincentives in place to play the older block, it’s not a huge stretch to imagine that they may end up closing that window as well at some point. Interestingly, with redemption only lasting 3-6 months after release should cards become popular later in their 18-month Standard cycle, after prices have crashed post-redemption, and players are discouraged from limited play due to lowered EV, opportunities may exist for strong spikes. Eg) Card X is a mythic in Kaladesh, seeing little play. It holds a price close to .50 tix for most of the redemption period, crashing to .05 tix post-redemption. Should this card then become a fixture in Standard or Modern, the returns could be even more extreme than usual for a Standard legal mythic. Another strategy that will be in flux is the practice of investing in a broad basket of foil mythics online, with expectations of a 30-60% average price increase towards the end of the redemption period. For the last several sets I have purchased foil baskets (one of each mythic foil except the most expensive one) at peak supply and sold them about 6-12 months later. Foils are not generally desirable online, as their visual impact is much reduced, but foil sets are certainly valuable in the real world, so foil set redemptions have driven solid returns on the online foil mythics, which often act as the bottleneck for foil set redemptions. Investing in full sets and boosters on the other hand, is looking pretty scary with the new changes. In the past, we could reliably purchase full digital sets at peak supply, a few months after release, and await a modest 10-20% fall value spike due to reduced limited play for the set in question. With redemption ending far before the set rotates in Standard, this method of profit seeking is likely dead. In this new world of shorter redemption periods, foils will still likely fall in price toward peak supply, but may provide much faster returns as the redemption window closes for the set in question. With no historical data, however, there is some risk that the shorter redemption window will simply result in less people having full sets to trade in, and demand for the foils will be reduced in turn. I will revisit this in Q1 2017 as data becomes available. Note: Previous draft entry fees were 14 tix or the equivalent. Sets previous to Kaladesh will remain the same price, which should act as a powerful disincentive from players playing SOI/EMN limited events this fall. Note: Previous draft entry fees were 28 tix or the equivalent. Generally speaking it is hard to argue with cheaper limited events, especially a 15% drop in costs of entry. The thing is, because drafts can still be entered via three packs + 2 tix, boosters are now worth 15% less automatically, which injurs the EV of beind paid boosters as prizes. As such, even the reduced entry fees are not a clear win for limited players, and much of this is likely being paid for by the negatives listed above. Limited is not cheaper at all. This is just WotC recognizing that players could buy packs on the secondary market for a discount and enter with those. Will secondary market boosters drop as well, or are those prices propped up by something else? Is it interesting to anyone that they dropped the limited entry fees for all options except for the one including the booster? Previously, drafts were 3 Boosters + 2 tix OR 14 Event Tix, which pegged the value of a Booster at 4 tix… meaning, if you Boosters were ever lower than 4 tix, it made more sense to just pick up Boosters to enter the event. Under the new structure, it’s 3 Boosters + 2 tix OR 12 Event Tix, which pegs the new value of a Booster to 3.33 tix. They’re lowering the cost of the draft, but as a by-product, lowering the ceiling of Booster prices. Can someone verify my logic?… want to make sure I’m not making false claims here. As an aside, I think the reasoning behind this is less to do with the redemption period as it is to do with the fact that Online boosters won’t contain the (less valuable) Inventions. Since the online world’s value has been reduced, I knew they had to do something to reduce the “cost” of boosters if they wanted to be fair and maintain equilibrium between the online/paper pricing worlds. The fact that they threw that whole reduced redemption period into the mix kinda messes with the equilibrium anyways, so… so much for that. Has anyone heard a reason WHY WIZARDS SHORTED THE REDEMPTION PERIOD so drastically?? I would appreciate the info, thanks in advance. Seems like the paper price will go up. Less supply. If you don’t own grass in which grows in heavy snowfall and courant, appropriately storing your property mower in the the winter season increases their performance stage and durability occur planting season. by simply fall, you will need to depletion your property mower of its gasoline or diesel, serps crude oil, as well as other essential liquids. Just by spring, include your company’s mower loaded with unique engine essential fluids.